Since January 1, 2011, the IRS has required all paid tax preparers to have a Preparer Tax Identification Number (PTIN) before filing any tax returns. Tax preparers must obtain a PTIN and include it on all tax returns they sign. Tax preparers who don't sign tax returns and are supervised by a Certified Public Accountant, attorney or Enrolled Agent are exempt from this regulation. PTINs cannot be shared, even by tax preparers in the same tax preparation business. Every individual who, for compensation, prepares or assists in the preparation of a tax return or claim for refund must have his or her own PTIN and each tax preparer may obtain only one PTIN. The IRS says that if you are paid to prepare or to help prepare a tax return - even if you don't sign it - you must get a PTIN. The key factor is whether you take any action or make any decision that affects the outcome of the tax return. Tax preparers apply for a PTIN by submitting their personal information including their Social Security Number, a previous year's tax return, and the annual fee of $50 fee to the IRS. The application will require the tax preparer to disclose and explain any felony convictions or problems with his or her tax obligations. Tax preparers applying for a PTIN must be at least 18 years of age. PTINs are issued for one calendar year and must be renewed annually. 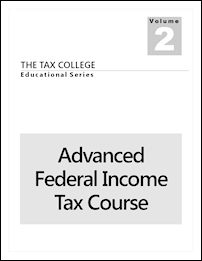 Tax preparers who have been issued a PTIN but are not CPAs, attorneys, or Enrolled Agents are known as Un-enrolled Preparers, and possess the minimum qualifications required to prepare certain types of federal tax returns. Failure to have a PTIN each year could result in the imposition of Internal Revenue Code (IRC) � 6695 penalties, an injunction, and/or disciplinary action by the IRS Office of Professional Responsibility, against the tax preparer. IRC � 6695(c) - Failure to Furnish Tax Preparers Identifying Number. The penalty is $50 for each failure to comply with IRC � 6109(a)(4) regarding furnishing an identifying number (PTIN) on a return or claim. The maximum penalty imposed on any tax preparer shall not exceed $25,500 in a calendar year. 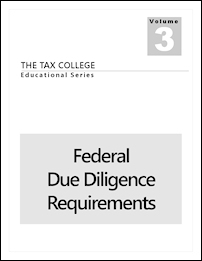 Further information is contained in our publication Federal Due Diligence Requirements. What is the difference between a PTIN and an EFIN? Does a tax preparer need both? A PTIN is a number issued by the IRS to individual paid tax preparers. It is used as the tax preparer's identification number and, when applicable, must be placed in the Paid Preparer section of a tax return that the tax preparer prepared for compensation. An Electronic Filing Identification Number (EFIN) is a number issued by the IRS to individuals or to tax preparation businesses that have been approved as authorized IRS e-file Providers. It is included with all electronic return data transmitted to the IRS. There is no fee for an EFIN. 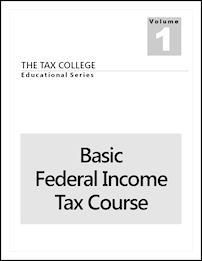 PTINs are issued to individual tax preparers. EFINs are issued to individual tax preparers and/or tax preparation businesses. Solo tax preparers need both. Tax preparers working for tax preparation businesses need a PTIN, as ordinarily they will be e-filing returns using the tax preparation business's EFIN. 1 Tax return information is required to authenticate your identity. If you filed your tax return in the past 8 weeks, use a previous year's individual tax return. 2 Felony convictions and discrepancies with your federal tax obligations may affect your ability to obtain a PTIN. Create Your Account - First, you must create an account by providing your name, email address and security question information. The system will then email your temporary password, which you will change when you go back to enter your information in the PTIN application. Apply for Your PTIN - You will complete the online application by providing personal information, information about your previous year's tax return, professional credentials, and more as shown above. Pay Your Fee - The application will transfer you to the IRS's partner bank where you will make your payment of $50.00 by credit card or direct debit. Get Your PTIN - After the bank confirms your payment, your PTIN is provided online. Note: All PTIN correspondence is delivered through secure online messaging into your PTIN account. Use your most up-to-date email address when obtaining your PTIN, to ensure that you receive the IRS's email notices letting you know there is a secure online message in your PTIN account. How to I sign up for a new PTIN? 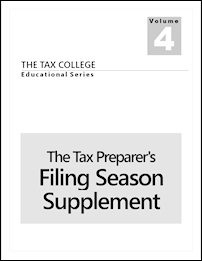 PTINs are issued for a specific calendar year, and must be renewed annually. A current year PTIN refers to a PTIN for the current calendar year while a next year PTIN refers to a PTIN for the upcoming calendar year. They are not interchangeable, i.e. you cannot use a 2016 PTIN to file tax returns in 2017. PTIN applications for the upcoming year cannot be submitted until mid-October of each year. When purchasing your PTIN be sure to select the correct calendar year from the drop down box. Follow the prompts to complete the account setup process and obtain a temporary password. Then use your User ID and temporary password to login to the system. Your User ID is the email address you used when you created your account. You will be prompted to change your password upon logging in for the first time.